Topic: What are you most excited to GIVE? Re: What are you most excited to GIVE? Provided shipping but no ornament yet here either which is okay it is the season of giving! I just love the camaraderie! I will second that but it is okay I still love bfads. I agree but it is probably where I will purchase the most items especially for nieces/nephews and extended family. It is a checkout nightmare. Topic: Which ads disappoint you the most? Re: Which ads disappoint you the most? Bexx wrote: Waiting on Menards! 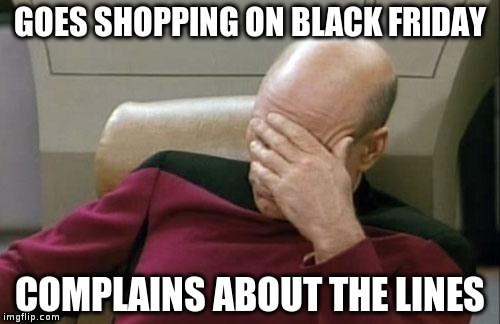 Topic: HOW do you shop on Black Friday? Well this is not what I hoped it would be BUT it is better than the others so far at least for my list. I think quite a few newer toys where overlooked by the retailers this year ad wise. Okay I feel old. The comments on facebook are killing me, "What is this glare?" "Was this taken through a potato?" "What is wrong with the ad?" People don't know the struggle of a legit leaked ad. I feel ancient. Damn whipper snappers.